Die Vermissten feels almost like a Clint Eastwood film by the way of David Lynch. If that sounds like a pretty strange combination, it really is. 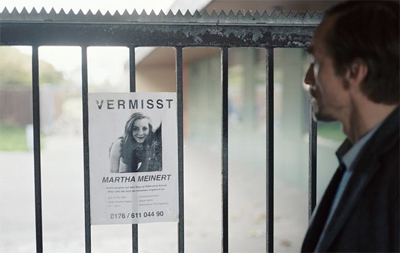 When his 16-year-old daughter disappears, divorcee Lothar is initially reluctant to investigate. He tries to convince his ex-wife that she’ll turn up, while trying to explain to his new girlfriend that he has a daughter. Eventually determining to conduct his own inquiries into the disappearance of his child, Lothar discovers that the incident isn’t quite isolated, and that there’s something much larger going on here. There’s a pretty interesting concept at the heart of Die Vermissten. It hits on the kind of stock themes and ideas that Clint Eastwood keeps returning to, albeit in a very surreal sort of way. The duty of care owed to children by their parents and by larger society is explored, as Lothar pries into where exactly his daughter might have gone. The imagery and the story itself feel slightly more outlandish and more surreal than anything Eastwood would attempt, as Lothar stumbles across something far larger than a single missing sixteen-year-old girl. Director Jan Speckenbach does an excellent job creating a palpable sense of unease. Even before the movie reveals exactly what is unfolding, there’s a very clear sense that there’s something not quite right here. Lothar investigates his daughter’s social networking and finds a symbol that keeps popping up around the region. Schools are abandoned. Parents are looking at children with something approaching fear in their eyes. It’s remarkably effective, and creates a sense that society itself is under siege, that the generational gap has become something a bit more hostile and a bit more alien than it traditionally is. As Lothar embarks on a journey that feels like a surreal homage to Heart of Darkness, he bumps into a mother of another missing child. She wonders what will happen if the police recover her child. Can she stop her child from running away again? “Maybe we need to let them be,” she suggests to Lothar, and it seems like Die Vermissten is sceptical about the world that parents leave behind for their children. Indeed, Lothar works at a nuclear plant, prompting a shot about nuclear waste and pollution at one point. Even if Lothar’s profession were completely innocent, it seems like he was hardly a model father. He is quick to blame his ex-wife for the fact that he never paid his daughter any attention, but the film is quite clear. If she hadn’t disappeared, Lothar probably wouldn’t be too bothered with her now. In that respect, Die Vermissten seems to adopt a particularly cynical approach to the way society reacts towards children. Perhaps leaving them be is the most sympathetic thing that we could do, rather than trapping them in our own mistakes, and allowing our own shortcomings to affect and undermine them. It’s a powerful and bold idea, and Die Vermissten earns a great deal of credit for following through on that line of thought. Unfortunately, though, the movie itself is a bit of a mess. As fascinating as Lothar’s strange pursuit might be, and as great as André Hennicke is in the role, the film is decidedly disjointed and unclear. It is occasionally infuriating, refusing to answer questions or provide explanations. It is intentionally obtuse and occasionally frustratingly unwilling to commit to an explanation for what exactly is going on in this some little region. To be fair, the film hints at several fascinating possibilities, and you can probably put together your own ideas using the evidence presented, but it is a little unsatisfying that everything is left so ambiguous – particularly when the film could have followed through on some of the more interesting themes by committing to one or another. The result leaves a strange after-taste in the mouth, and it robs Die Vermissten of some of its impact. 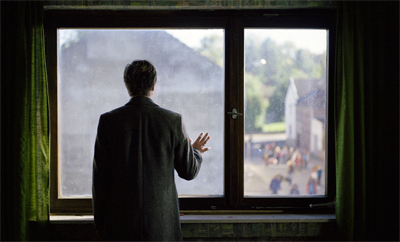 Still, if you can look past the frustrating non-ending and the film’s unwillingness to commit to anything, Die Vermissten teases an interesting exploration of the divide between two generations, and dares to question the relationship that society has with its children.